The Warriors are en route to a possible three-peat. The Golden State Warriors are slated to finish top of the West yet again but have dropped two consecutive games. 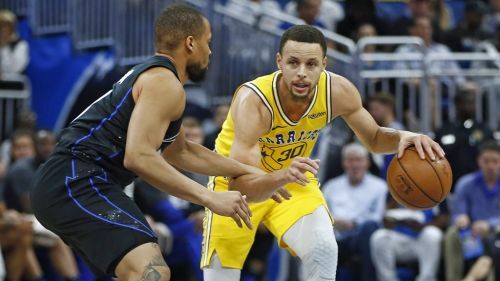 Their most recent loss came when they visited Orlando to face the Magic as the hosts edged a 103-96 contest against the defending champs. Coming into this one, Golden State had suffered a heartbreaking loss at the hands of Miami Heat affected by a highlight Dwyane Wade buzzer beater. The Warriors still lead the West but the Nuggets' win tonight means that they are separated by just half a game on the leaderboard. Curry and co. are 43-19(0.694) on the season, and have now lost four of their last ten games. On the other hand, the Magic clinched a much-needed win and are now tied with the Hornets, hanging by a thread down at the 8th place. Orlando improved to 29-34(0.460) on the season, still 19 games behind the East leaders in Milwaukee Bucks. This was the seventh win in their previous ten matchups. Let's draw out some key takeaways from this grueling effort-win against the short-handed Warriors. Aaron Gordon is averaging almost 16 ppg this season so far. Besides shooting guard Evan Fournier, every other Magic starter scored in double digits, led by Gordon's 22 on the night. Coupled with 15 rebounds, he finished with a solid double-double in this impressive home win. 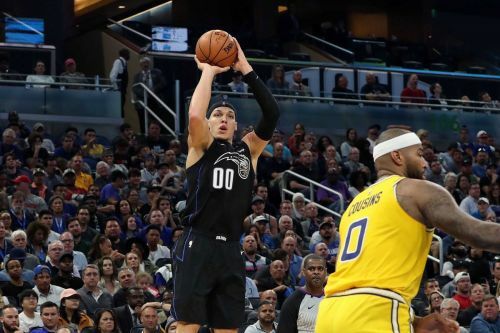 Isaac, Vucevic, and Augustin combined for 38 points, while the lone Magic All-Star also chipped in with 13 rebounds, 6 assists, and 3 blocks. After touching the 22-point mark twice in the six games prior to this one, Fournier could only manage 8 points against the Warriors. He took 12 shots from the field and could manage to make only three of them. His scoring average this year is the lowest of the past three seasons.